Richmond is one of Tasmania’s most popular destinations, steeped in history, family-friendly and a hub for food and wine lovers. 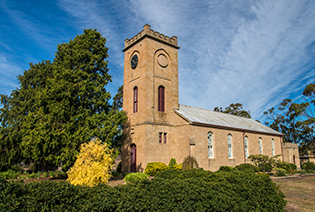 Nestled in the heart of the Coal River Valley, Richmond was established as an important military staging post and convict station linking Hobart with Port Arthur. Conveniently located just 20 minutes’ drive from Lenna of Hobart.